Farmingdale, New York (March 2014) – MediNutritionals Research LLC has expanded its eye care support offerings, adding two new formulas to the Patient One MediNutritionals line of science-based dietary supplements, available exclusively through healthcare professionals. 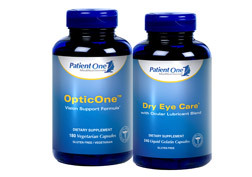 OpticOne™ Vision Support Formula supplies comprehensive support for optic nerve health and optimal eyesight function. OpticOne combines over 15 synergistic natural ingredients known for their beneficial effect on eye health, including regulating ocular fluid and blood flow and promoting reduced intraocular pressure. * This formula contains Vitamins A, C & E; magnesium; Alpha Lipoic Acid; Ginko biloba; Grapeseed extract; Bilberry extract; Quercetin; L-Taurine, CoQ10; N-Acetyl-L-Cysteine (NAC), Flaxseed bran; as well as folate, selenium, chromium B-12, and lutein. These new products expand upon Patient One’s diverse range of medinutritional formulas that feature today’s most advanced ingredients supported by extensive clinical data. 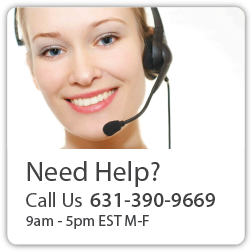 Patient One products span categories including Cardiovascular Support, Immune Support, Digestive Support, Bone and Joint Support, Cognitive Support, Endocrine Support, Healthy Aging, Detox and Weight Management, Emotional Wellness, Men’s & Women’s Health, Eye Care and more.